Hot water instantaneously at point of use eliminating the need to connect to a centrally located hot water cylinder with long pipe runs. 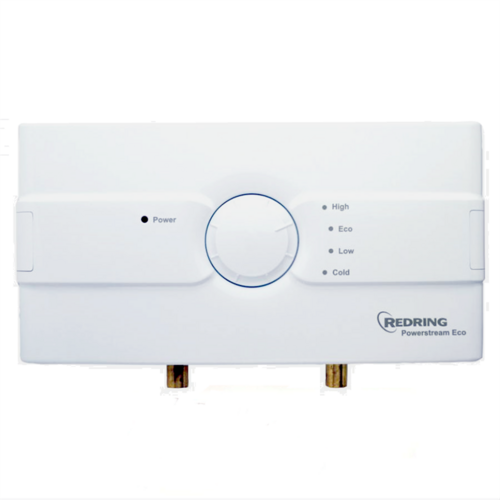 This compact and unique design now offers an external power selection dial with an ECO setting for ease of use and reduced running costs. This direct fed water mains unit is ideal for hand basin supply in commercial washrooms and residential applications where access to stored hot water is limited. The new Powerstream ECO benefits from user power level selections, enabling energy management and allowing the user to move between four power options – High, ECO, Low and Cold. Hi, can this heater be used with normal mixer taps ?